Since ancient time watches play an important role in human life, nowadays watches becomes a part of daily life and every person want an ideal watch. The brand Citizen makes stylish and fashionable watches for men’s and women’s since started. People loved citizen watches because they make watches keep in mind people rejoice. 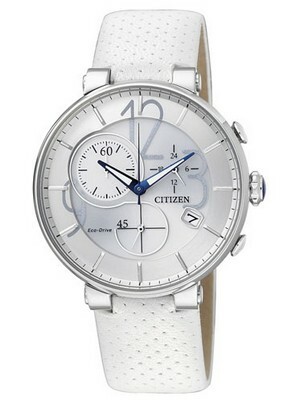 In the collection of citizen watches there are verity of different watches are available. Now citizen discover an elegant watch for women’s, women’s always want lighter watches and they loved to collect fashionable watches. The working caliber of this Citizenwatch is H504 which shows the greatness if we compare with other watches. This watch is made in Japan and come with eco-drive technology. 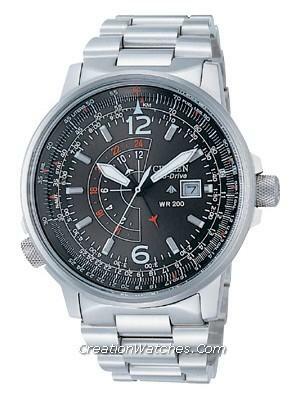 Generally all citizen watches used ecodrive technology. Eco-drive watches are eco-friendly watches and they do not harm environment in any way. This Citizen Ecodrive Watch is charged by any lightning source in day of night. The maintenance of eco-drive watches is less than other watches. The dial of this is tapped by sapphire crystal glass it is glossy and well scratch resistant. This is chronograph watch; chronograph watch includes alarms, stopwatch and sub-dial etc. This watch has attractive silver dial on the silver dial of this watch bold hand and markers are well placed. The insufficient charge warning function and the overcharge prevention functions of this watch will alert you whenever the watch is less charge or being overcharged. This Citizen Eco Womens watch is more reliable and accurate; you can wear this watch in any season. 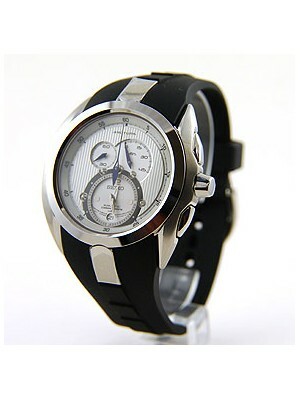 This watch is available for US $169.00 with us.